HURRICANE – Because Animals Matter, the Hurricane-based pet welfare organization and foster network, has welcomed 19 puppies from three litters in just three weeks and is seeking adoption applications to find every new arrival a home. “We’ve cared for multiple puppies before, but this is a big first for the organization,” BAM President September Smith said. The inaugural litter of six – females Opal and Diamond and males Onyx, Tiger’s Eye, Emerald and Jules – were born to shepherd mix Jade. 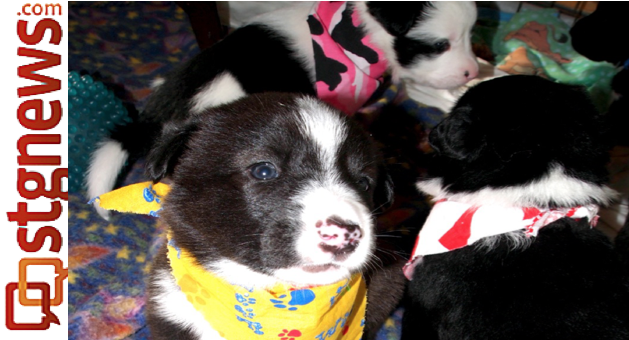 They are showing Border Collie traits and nearing the weaning process, though they will remain under the care of BAM until they are at least eight weeks old. 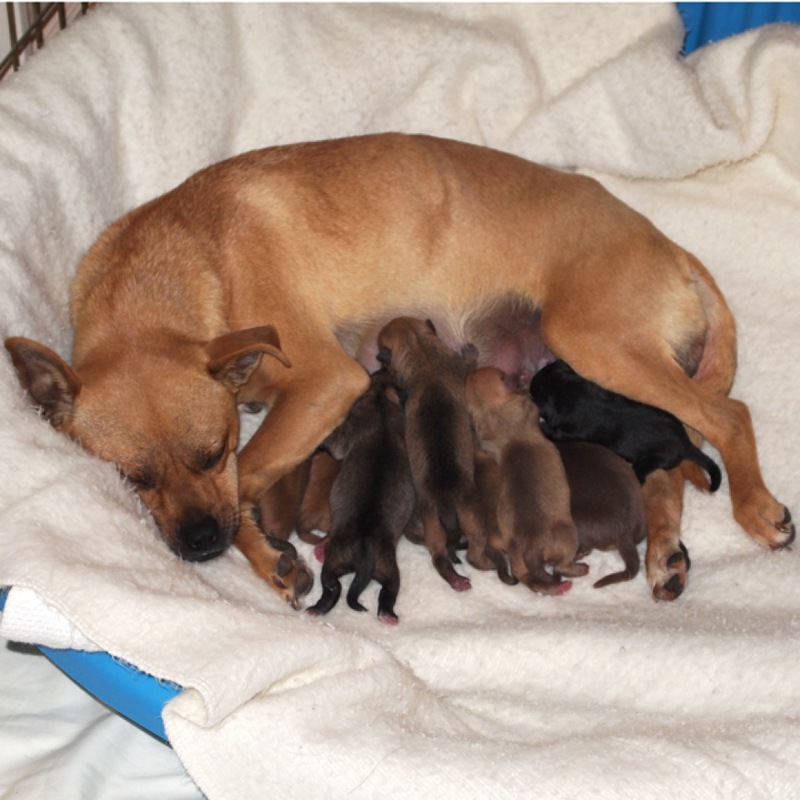 The second and third litters were born to Ginger and Sugar, two Chihuahua/Pug mixes and suspected sisters who were rescued from a kill shelter in California. 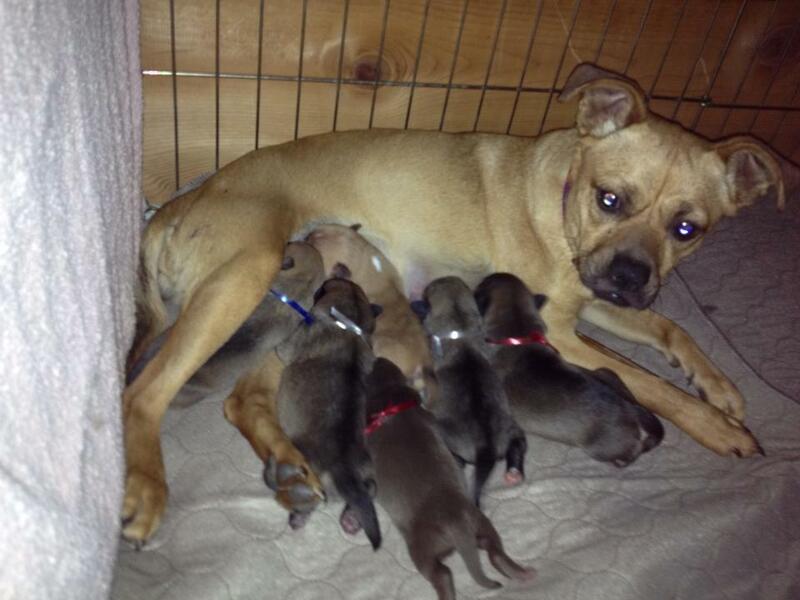 Ginger gave birth to nine puppies mere hours before Sugar delivered four. “The great thing about having two litters born on the same day is we have been able to spread the puppy wealth between the two mothers for the benefit of all the puppies,” said J. Schilling, BAM founder and vice president. The two smallest puppies from Ginger’s litter were given to Sugar to nurse and now have a a better chance at a healthy start without having to compete against their many siblings. Unfortunately, Sage, one of Sugar’s own puppies, was born in poor health and died five days later. 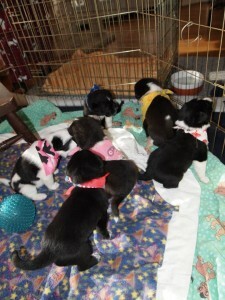 Yet another litter is anticipated in the coming days from Contessa, an expectant Chihuahua. She was taken from the LaVerkin Animal Shelter and placed in a foster home so that she can receive proper attention and medical care. BAM is accepting adoption applications for these and many other dogs in need of a home. To follow the developments of the 19 puppies and counting and learn how to become a foster or permanent pet parent, visit BAM’s web site or Facebook page.